You know how every time a baby carries a pacifier around, it always ends up where it's not supposed to, shopping carts or simply on the floor? 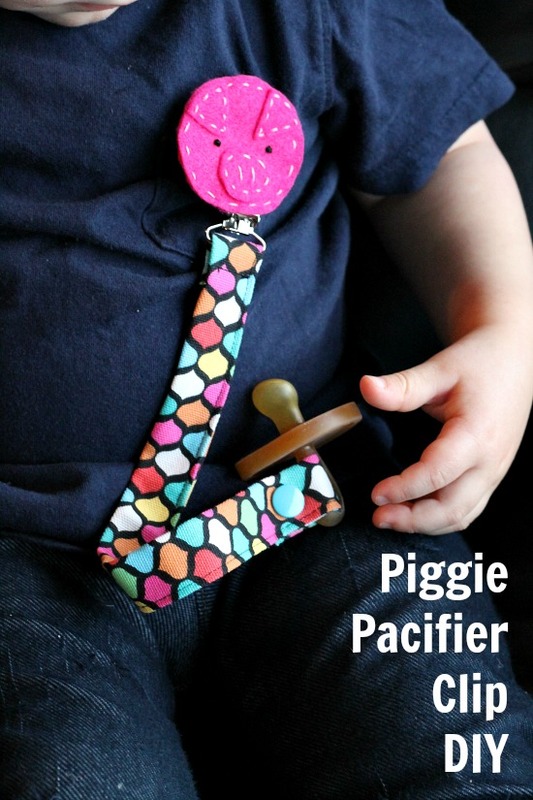 With this Piggie Pacifier Clip tutorial you've got one less thing to worry about. The felt piggie adds a special touch and could be swapped out for any other animal face. Use caution when sewing things for little ones! If safety is a concern, you could alternately use velcro for both closures instead of sewing and using the KAM snaps. Make sure nothing is loose before using. Thease are so cute, I’m making my grandpuppy the sling for his birthday.